Trees delight property owners for various reasons. They bring a piece of nature close to home. They make your place look more inviting. At times, they even serve as a natural barrier for added privacy and security. It’s hard not to feel a special connection when you’ve had those trees in your yard since the beginning. But the thing is, trees are like any other natural living thing. They get sick, damaged, and die eventually. There are instances when they can still be revived. But there are times when they need to be removed completely. Otherwise, they might pose a threat to safety. If you have a tree service project in Doraville, GA, our team at North Star Tree Service (NSTS) can help. We’re a qualified, tree care company providing services across Metro Atlanta. We have Certified Arborists on board and expert technicians that are ready to provide tree care services any time of the year. Call us at (678) 562-1068 to get started. Trees have unique needs. If you have various trees or plants in your yard, it may be challenging to care for them all on your own. First, you’ll need equipment. And more important, you need knowledge on how to approach every situation the right way. Chances are, you will need to dedicate your free time searching for tips on how to maintain your trees. It can be exhausting. Add to that, you need to be extra careful as your safety is also at risk every time you decide to take on a huge tree project. That’s why tree service providers are there. They are trained and equipped to handle every tree project possible. You no longer have to do the dirty and hard work. You can instead relax or spend the day with your family or friends. Although there’s a fee for every tree service project, you can be confident that your investment will be worth it. For one, you have more free time to use. And you can leave the job to people that know exactly how to get it done. And as for the cost of your tree project, here at NSTS, we provide highly-competitive rates. 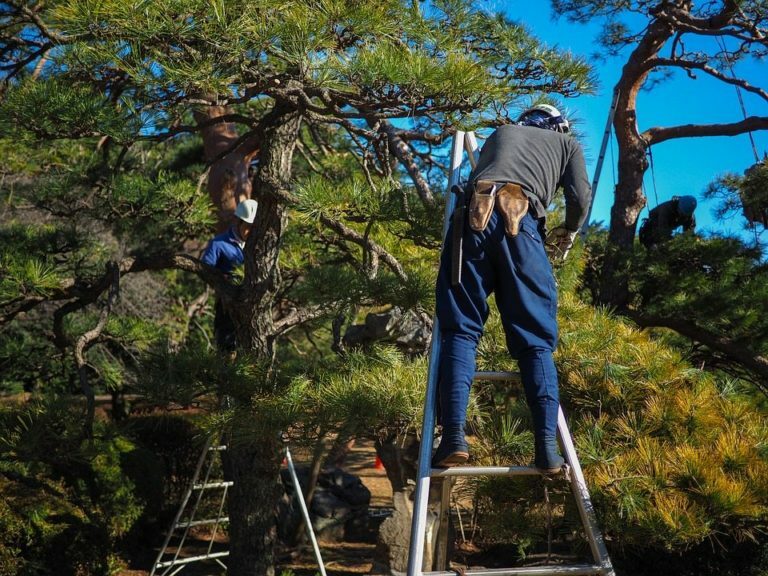 You can start with a FREE estimate so you’ll have an idea how much your tree job will cost. Anytime you need help, we’re only a phone call away. Massive storms and natural calamities can leave trees severely damaged. Sometimes, trees may have to be removed right away to prevent safety issues. Our team provides disaster relief services to residents of Doraville GA.
Tree removal should only be performed by a professional. This project can be dangerous. Our team can get this done but before that, we also check if removal is the appropriate solution for your tree problem. Tree trimming can be done using various techniques. It depends on the unique needs of your trees which approach should be used. Our team can identify the right trimming method to ensure the health of your trees. Keep your yard free from tree debris. Call us and we'll help maintain your trees so they don't become an eyesore. And so you can also relax instead of toiling in your yard. We can partner with your contractor in ensuring trees are properly removed or are secured during your construction project. Our Certified Arborist can also assist in reviewing site plans and preparing reports. Keep your trees healthy for a long period. Protect them from diseases and pest infestation, year-round. We can help you preserve your trees for them to last through your next generations. Trees should be planted the right way. But more important, you need to select the right tree to plant in your location. We'll work with you in identifying trees and plants that fit your maintenance requirements, lifestyle, and aesthetic preferences. We can deliver free mulch on areas within our service areas. Call us to inquire. We perform other landscaping jobs, apart from our tree care services. Rest assured this will also be delivered to your satisfaction. How can I keep my trees healthy year-round? Let us know and we can help you find the best solution for your tree concerns. Long as it’s about trees, North Star Tree Service is ready to help. Residential or commercial, we can handle that tree project for you. Be sure you’re caring for your trees the right way. Or in case you need a tree project done in Doraville GA, find out its approximate cost.